Here is a example of Blackfeet, Cherokee, Norse, Sami connection, Ron West oral tradition of the Blackfeet suggest they came West, may fit with your thoughts about eastern tribes, they had white roots before Columbus? Red Paint people! The holy man on top of Medicine Wheel Mountain, who advised Wakashi, was white with a long white beard. Look into the Mandans. Remington and James Alexander Thom have both discussed their possible Welsh connection, via a supposed immigration by Prince Madoc. This is about the time of the theory that copper was mined in Michigan by Minoans? The neanderthal buried the dead with red ochre Kurgan also, coast of Norway, to the coast of Labrador, burial mounds with red ochre. Found in a mix of old alphabets online, looking for historical rune books for research. Do you or the readers know of any sources. For Greek check Liddell and Scott. 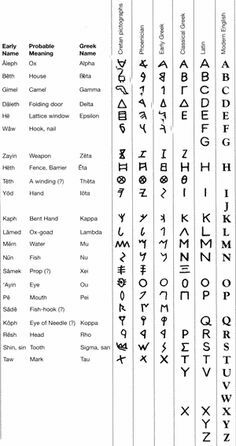 For proto-Greek, search Linear A and Linear B scripts. These were quartermaster alphabets for tallying loot, I think.